We had a great time with Erik! 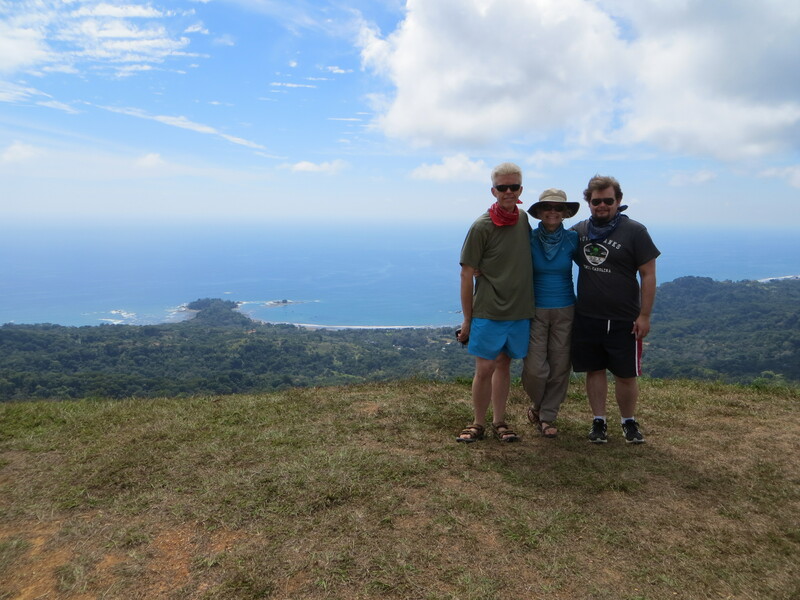 On early Sunday morning, we drove south to a small town called Sierpe. 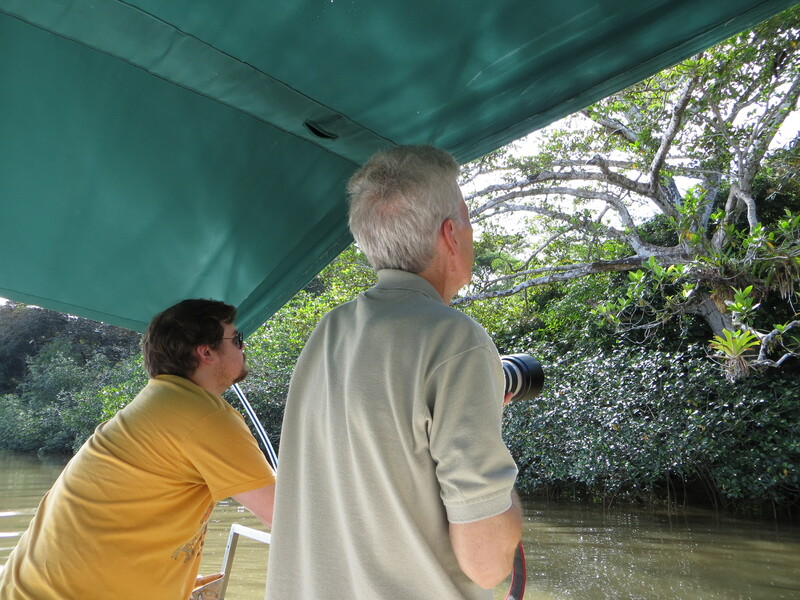 We had arranged for a 8:00 a.m. mangrove boat tour along the Sierpe River; it lasted for four hours. The tour was fabulous! We learned all about the different types of mangrove trees and swamp flowers. 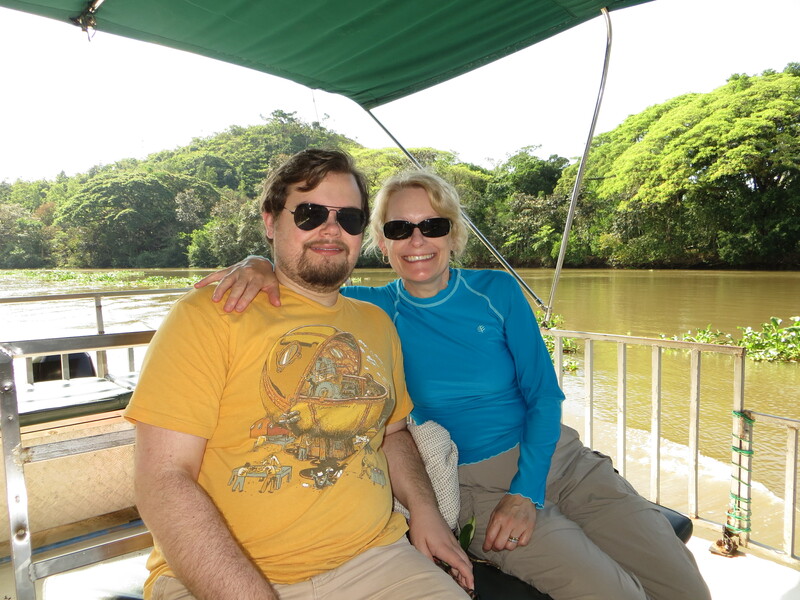 We saw many different species of birds, a few caimans, small tree boa snake, Two-toed sloth, and three different kinds of monkeys (Mantled Howler Monkey, Squirrel Monkey and White-throated Capuchin). 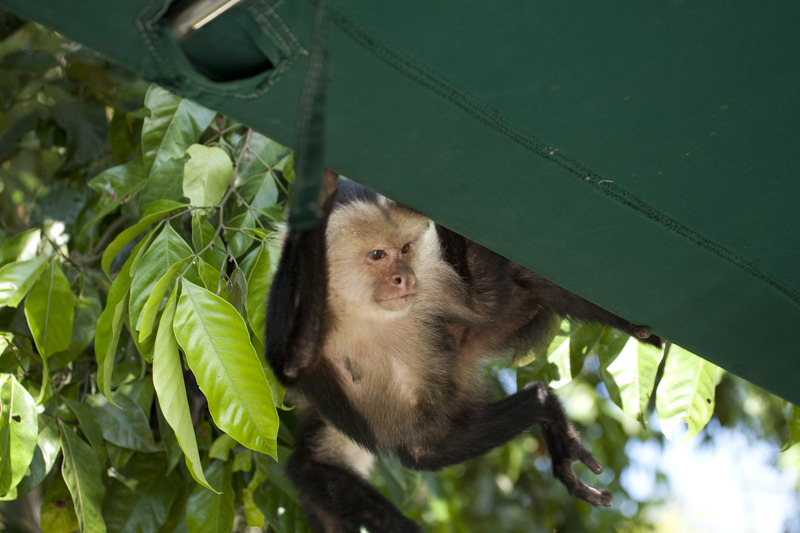 The White-throated Capuchin (commonly know as the white-faced monkey) were the highlight of our tour! They got up close and personal. 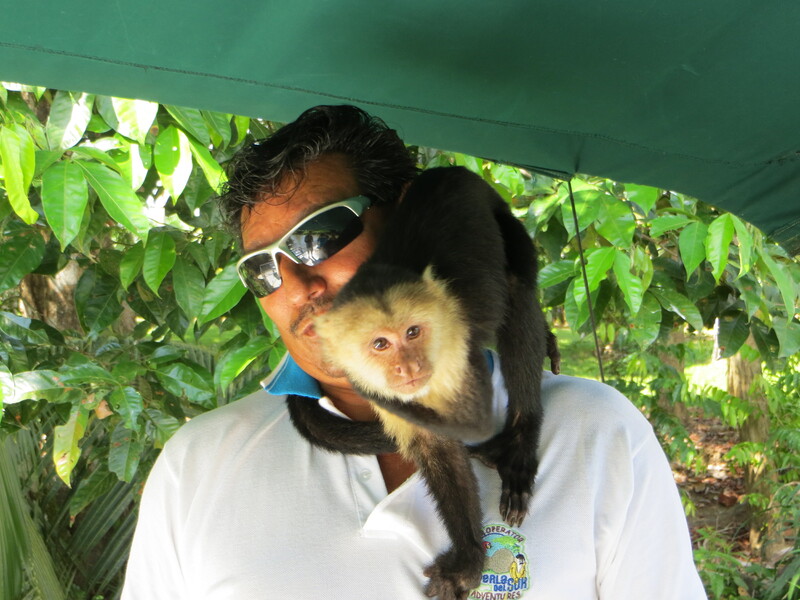 The boat captain was friendly with a troop of the white-faced monkeys and we stopped beside a group of trees where the monkeys were sleeping. 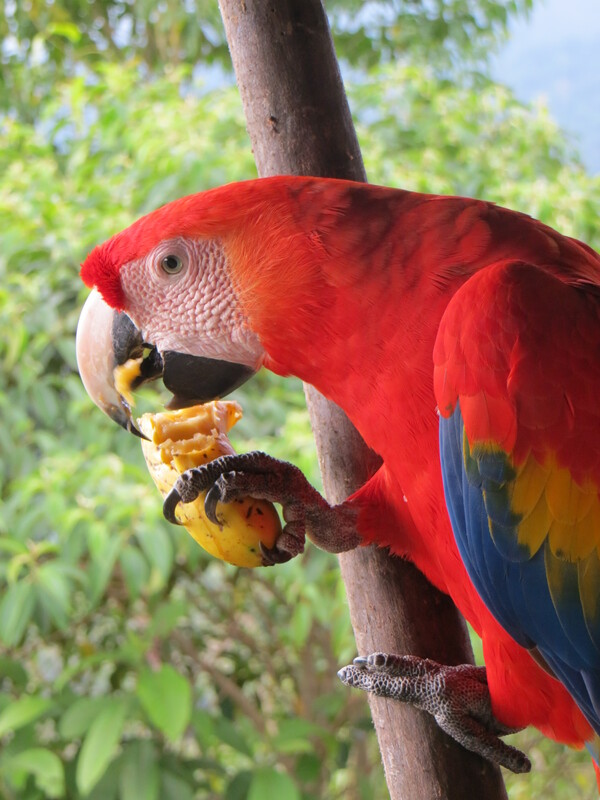 Our captain woke them up and encouraged them to come close by calling out and holding pieces of Guayaba fruit he had picked off a tree along the way. 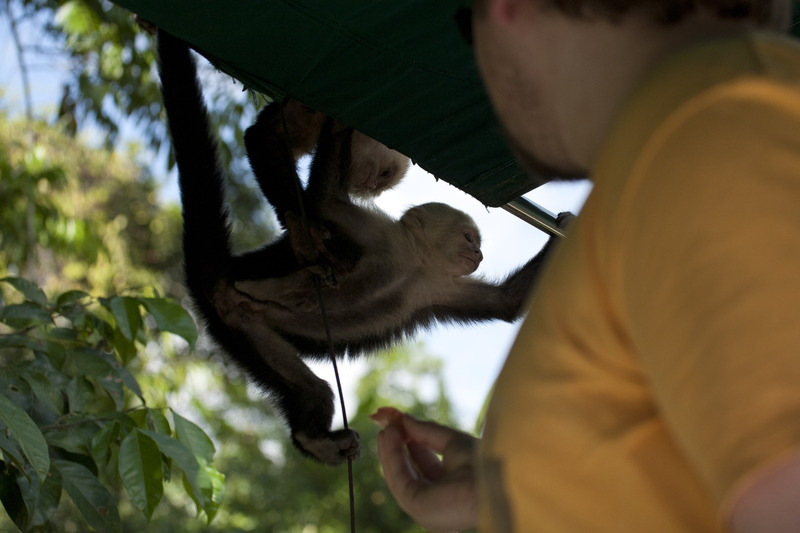 Erik tried to feed one of the monkeys some fruit, but the monkey was more interested in the sandwich that Erik held in his other hand. We had to put the sandwich away! 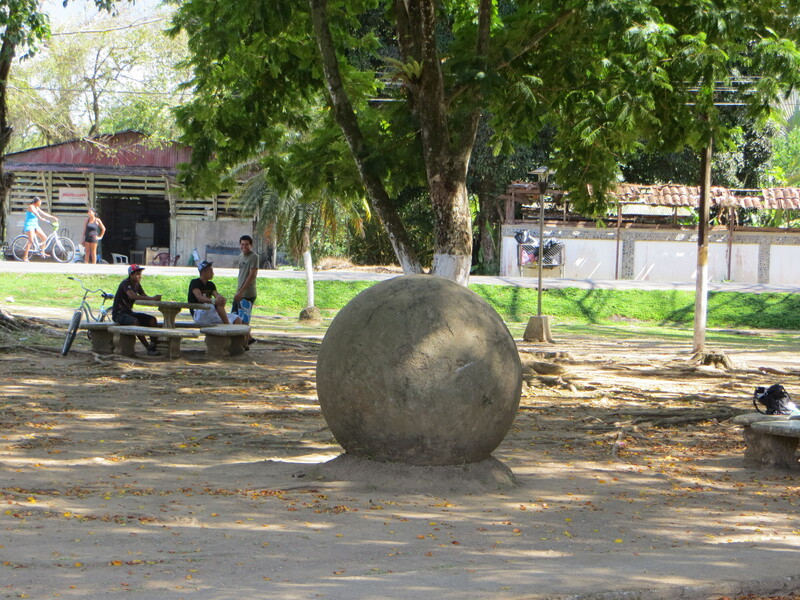 After lunch, we drove to the Sphere Museum between Palmar Sur and Sierpe. It was very interesting! 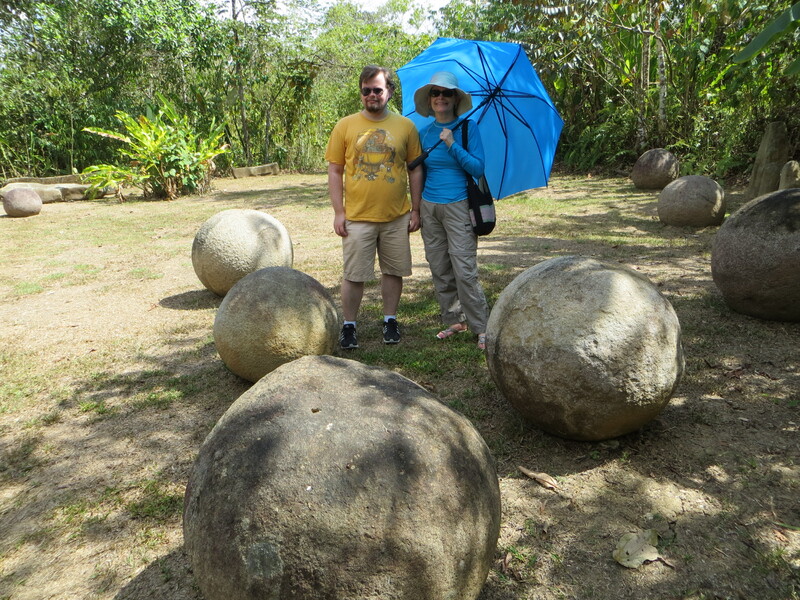 Eddie and I first noticed these huge stone spheres several years ago when we visited the Osa Pennisula. 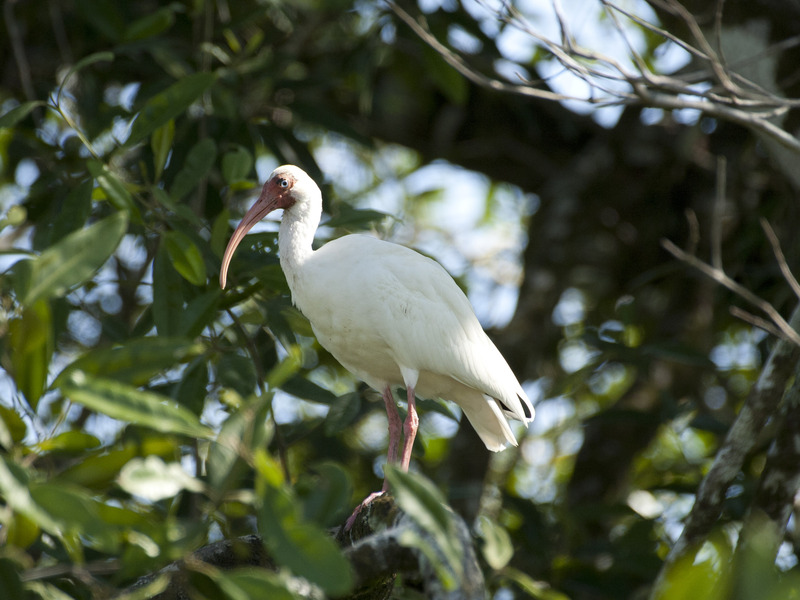 They were in odd places…in parks, fields, hotels to name a few. Someone told us that they were ancient artifacts. At the museum, we learned that the spheres were likely made by ancient indigenous populations from 300 to 1500 AD. They are almost perfect spheres that are thought to have been made by slowly chipping away at their surfaces with stone tools. There are almost 300 spheres known to exist and range from a few centimeters up to 2.5 meters in diameter and up to 24 tons. 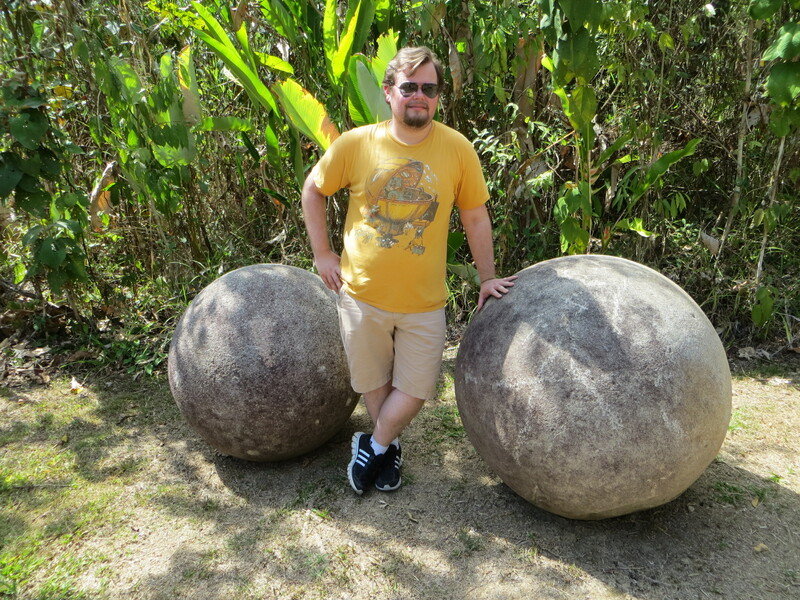 Admittedly, the museum’s archaeological experts are not sure who, how or why the spheres were made. Some people say they came from aliens. The following day we were up early again to go on a ATV tour through mountains. It was an awesome day! We were the only people on the tour, which was really nice. If you ever come for a visit, this is a must on the to do list. 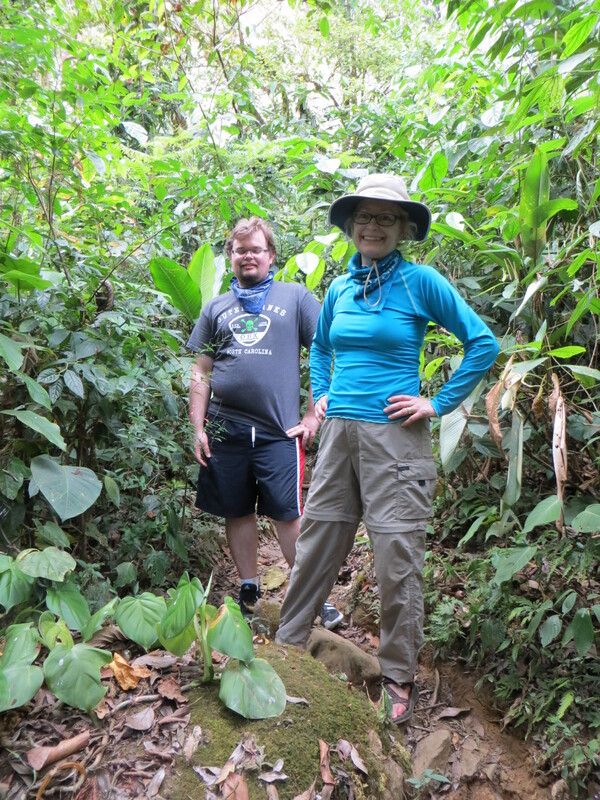 The scenery was fantastic! 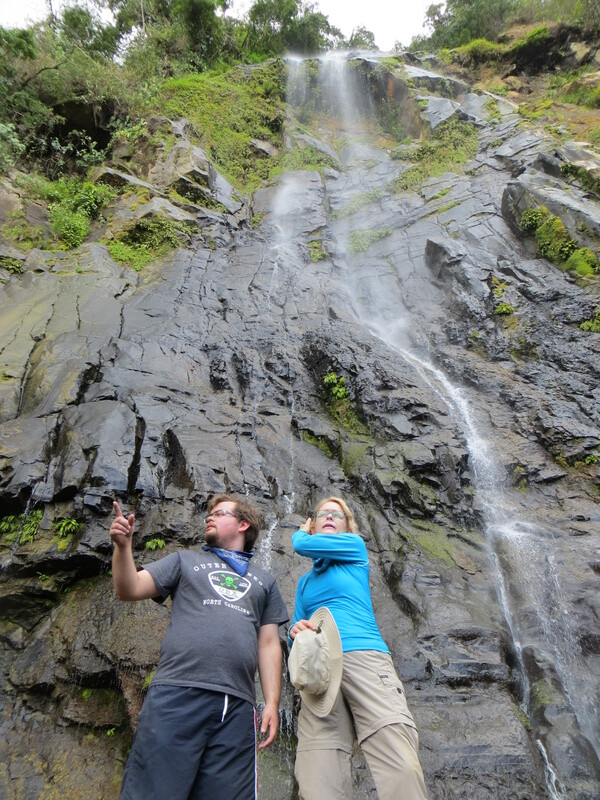 We climbed up a waterfall, which wasn’t easy, but a lot of fun. 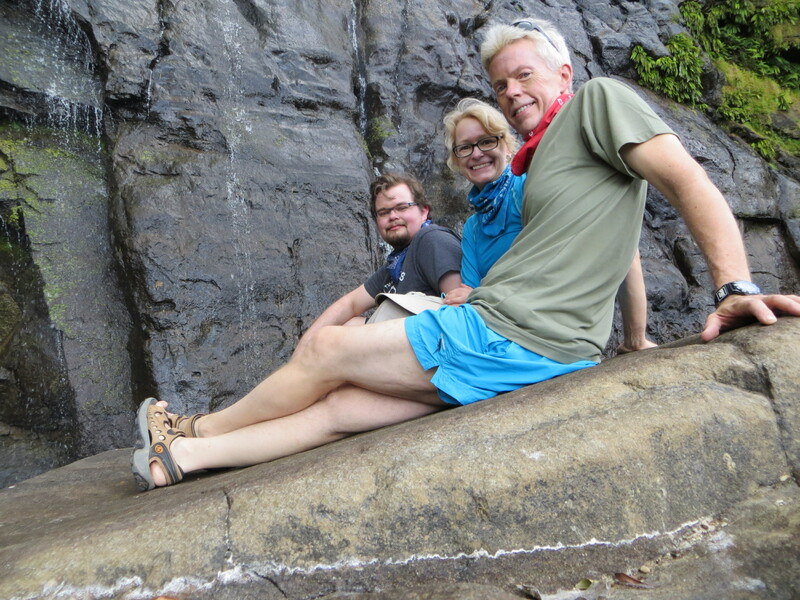 This could only be possible during the dry season since during the rainy season the water is raging. 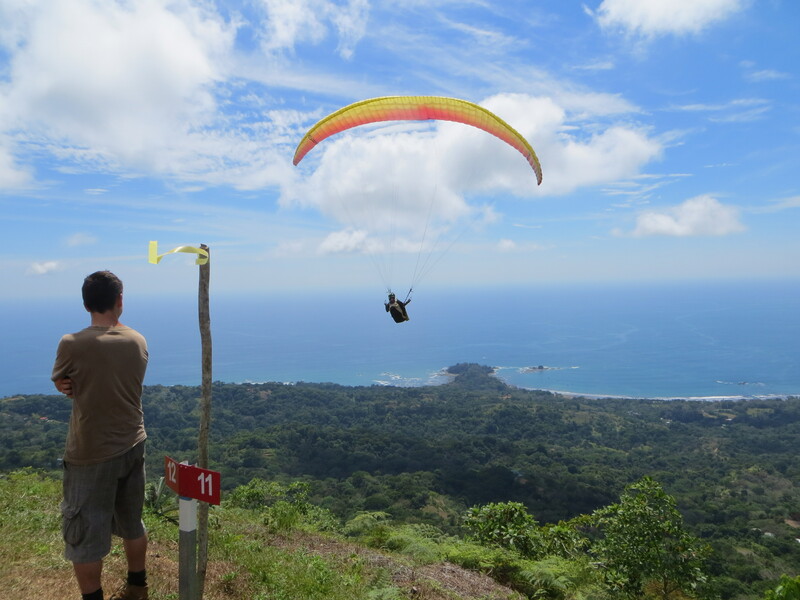 While we were on top of a mountain ridge, we saw a para-glider take off and fly away high into the sky and then ultimately land on the beach far, far away from where he started. 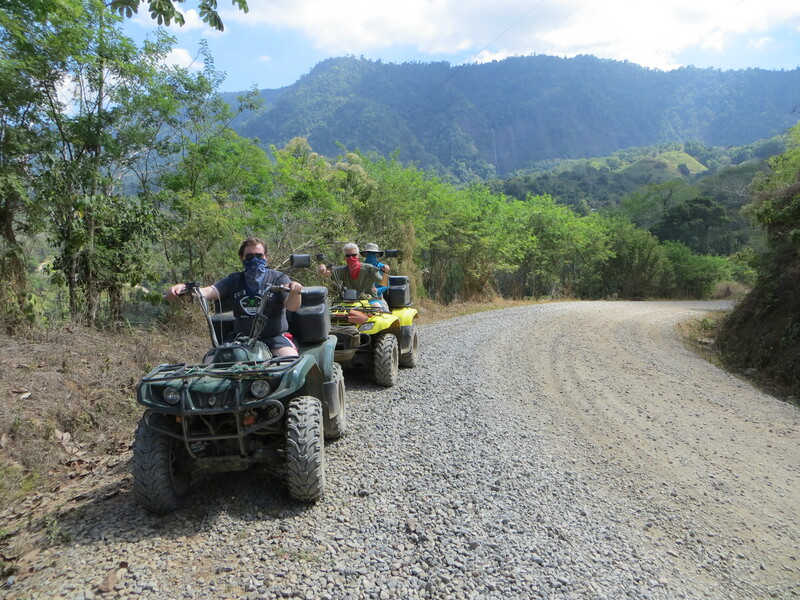 Our ATV tour lasted almost five hours and we were very dusty when we returned! 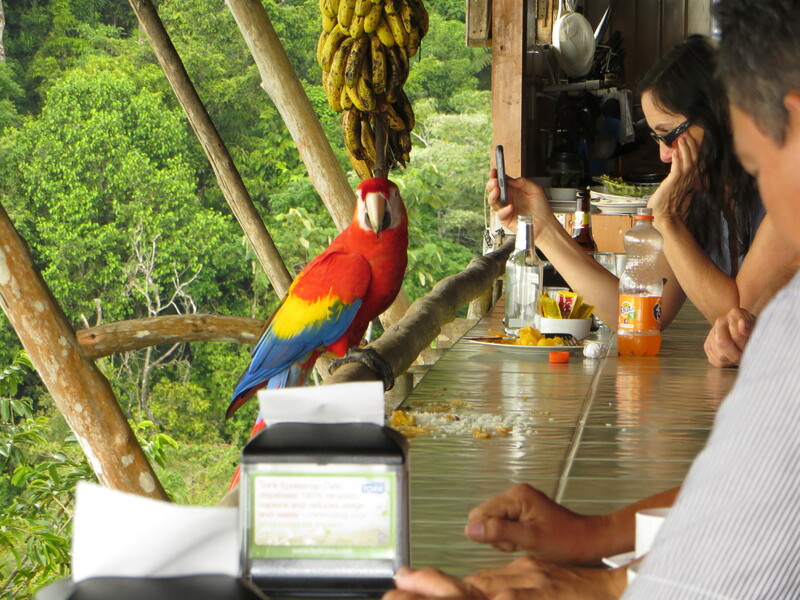 After our ATV tour, we stopped by a restaurant in the mountains that has a great view. Instead of sitting at a table, we sat along a tile bar overlooking the valley. 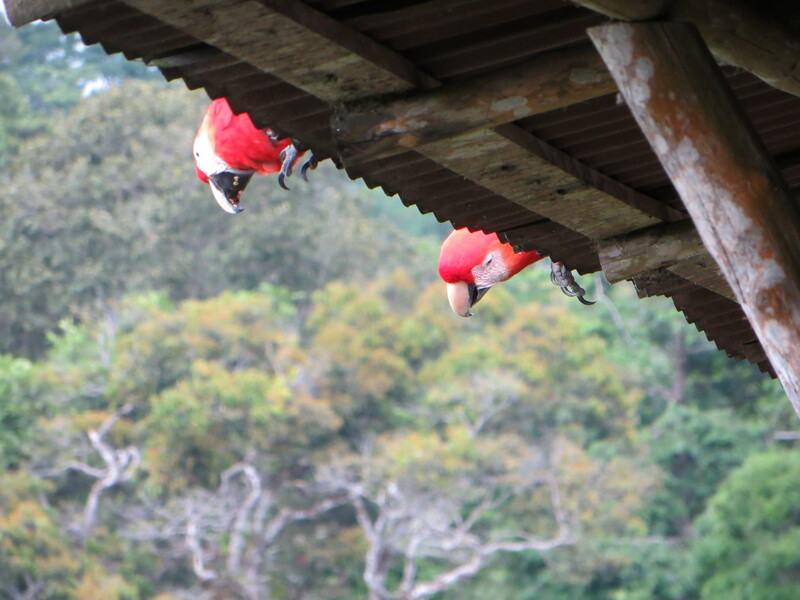 While we were there, a pair of Scarlett Macaws flew right in front of us and landed on the roof about 10 feet away. They peaked under the roof. 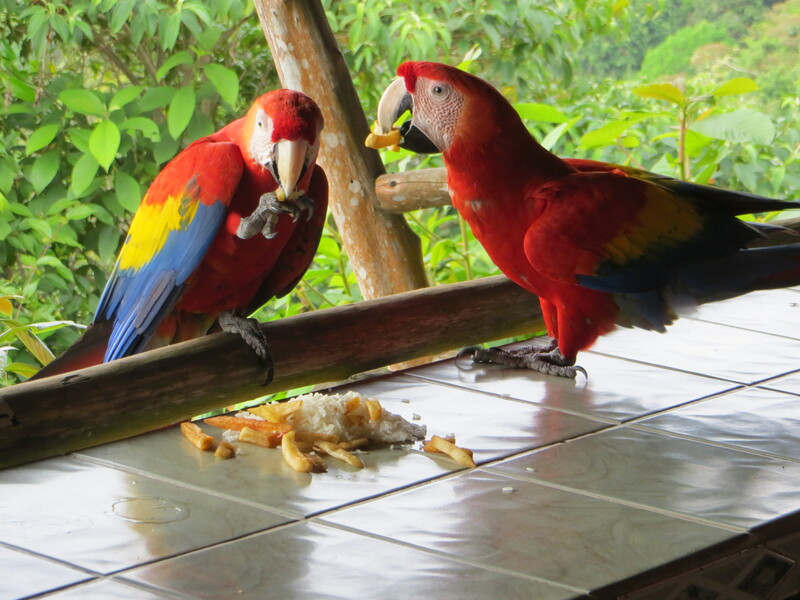 Then a waiter put some rice and french fries onto the tile bar and the Macaws came down from the roof to eat. Everyone was thrilled to see them up close. It was a fabulous end to our day! 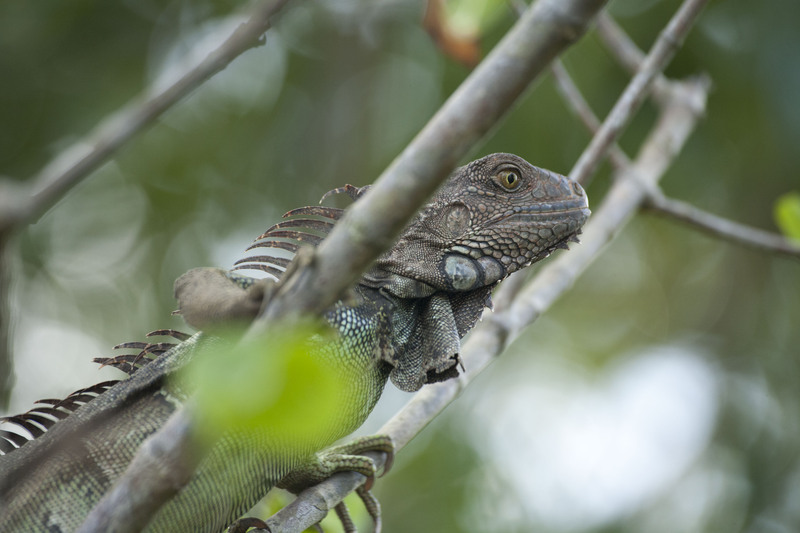 ← Iguana by the pool…and more!